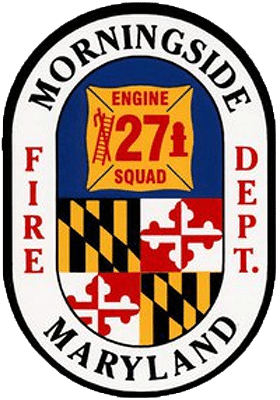 It is with heavy hearts that Fire Chief Michael Poetker and President Michael O’Brien of the Morningside Volunteer Fire Department, Inc. report that Active Life Member Charles Phillips passed away on March 20th. Charlie was a current Board of Director, past Chief and President of the MVFD, past Board of Director of the Prince Georges County Volunteer Fire and Rescue Association, past Fire Commissioner of the Prince George’s County Fire Commission, and past President of Local 1619 of the International Association of Fire Fighters. Charles Phillips is the beloved husband of Sharon Phillips and the loving father to Vincent Phillips, Pamela Mann, Angela Phillips and William Phillips. He is also survived by 21 grandchildren and 4 great-grandchildren. Charlie began serving the citizens of Prince Georges County in 1949 at the MVFD and has accrued 70 remarkable years of dedicated service. The Morningside Volunteer Fire Department is entrenched in its belief in service to others, and Charlie was not only a shining example of that, but was a cornerstone of our organization. In 2015 we were honored to be able to dedicate Rescue Engine 27 to Charlie, and could not think of a better way to memorialize his service, but with an apparatus that does the same every day. Charlie had dedicated 70 years to the citizens of Prince George’s County and has brought us all together once again. He has truly touched all of our hearts and he will be greatly missed. As the March 24 celebration of the life of Charlie Phillips wrapped up, family and friends placed flowers on the memorial at the fire station. It was wonderful seeing old friends, members and others who came to pay respects and the stories shared are reflective of what makes Morningside, the PGFD and the fire Service so special. March 30th was “Charlie’s Last Ride” on Rescue Engine 827. You couldn’t have asked for a more beautiful day to bring Charlie home. We were all so grateful to have been in Charlie’s life. He will forever be missed. We love you, Charlie.